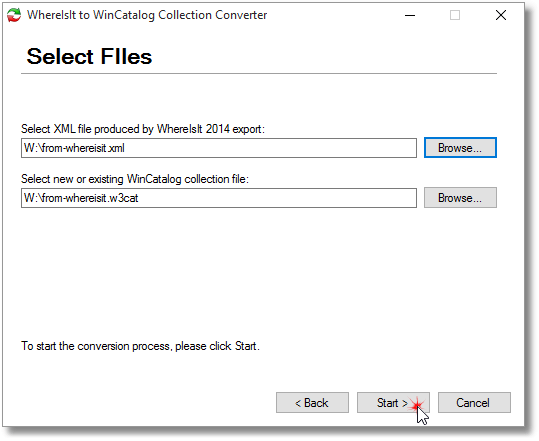 If you use WhereIsIt, and want to migrate your catalog of disks and files to WinCatalog 2017 disk catalog software, you can easily export your catalogue, created by WhereIsIt cataloging software, using XML export, produced by WhereIsIt, and import it to WinCatalog 2017. "5* product and support - without a doubt the leading data cataloguer in 2017 - thank you!" "Tried at least 5 other catalog softwares. By far WinCatalog is the best." 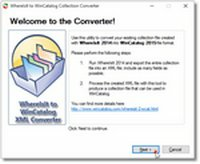 How to convert your catalog of disks and files from WhereIsIt to WinCatalog 2017 disk and file catalog software? Run WhereIsIt and click the Main button, point to Report Generator, and then click Report Generator Wizard. 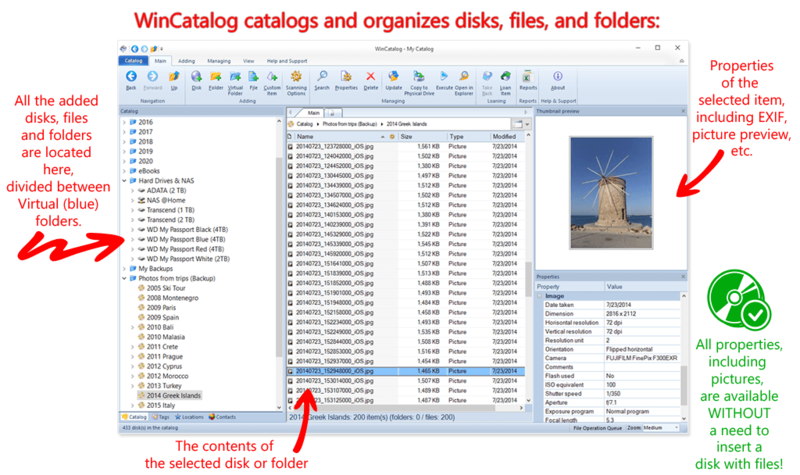 On Step 1 click Next to proceed to Step 2, then in the Pre-defined reports select the "List of all cataloged files and folders on selected disks" and click Next. On Step 3 mark all available disks and click Finish. WhereIsIt will collect report data and will show the Report Generator after that. 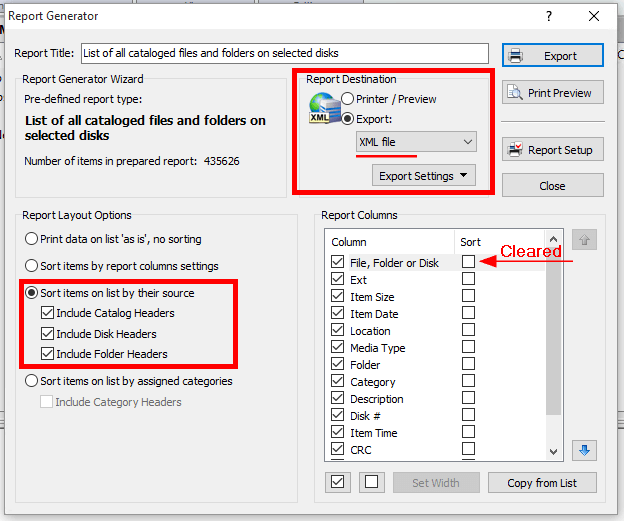 In the Report Generator window, in Report Destination section please select Export, then select XML file in the dropdown list below. Make sure that the Export Settings dropdown is set to XML, not to XML (MIDAS). In the Report Columns section mark as many columns as you wish, then unmark all checkboxes in the Sort column. 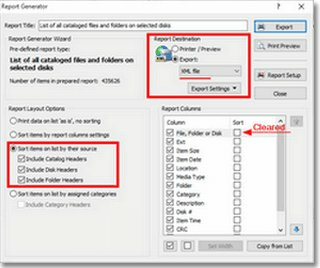 Click Export to save the report. 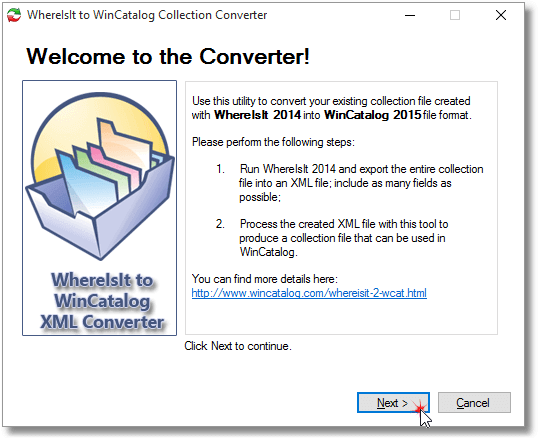 Download a free application "WhereIsIt to WinCatalog Converter". 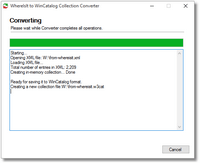 The converter requires .NET Framework 2.0 or newer. Run the downloaded Converter and follow the wizard. That's it. 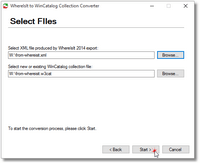 After the process ends, WinCatalog will be able to open the catalogue file. It will show you the hierarchical structure and will provide an ability to search for files and folders. 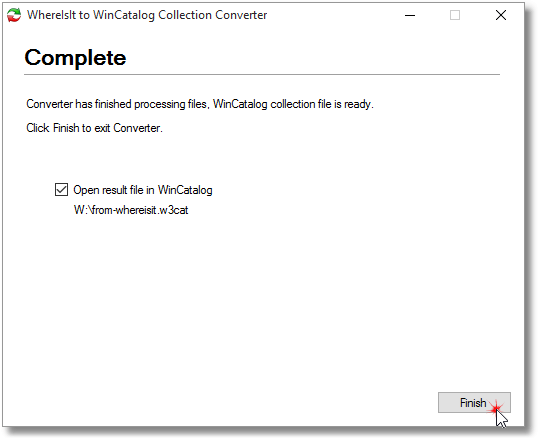 The converter also copies tags, categories, and locations. 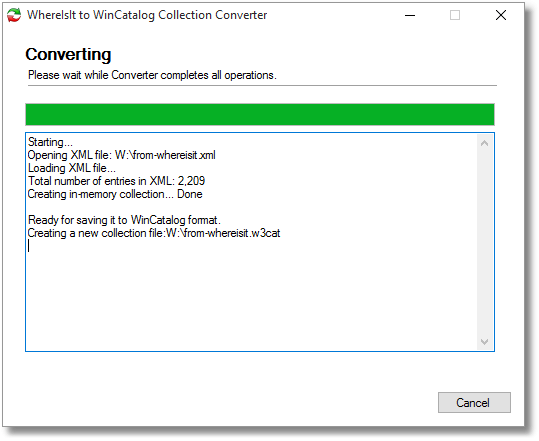 Both tags and categories are now Tags in WinCatalog (because WinCatalog does not have such a separation). However, you should known, that the export file produced by WhereIsIt contains fewer data about disks and files, for example, there is no way to get disks' serial numbers in the report. That is why some functions may not work correctly (for example, Execute or Open in Explorer), but these problems may be solved by updating the disk. 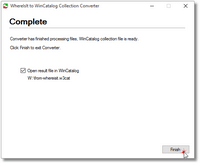 After converting all the info, you may uninstall the converter. Please, contact us, if you have any questions.